you know those little packets of taco seasoning that you buy at the grocery store? even the ones marked as "low sodium" or "reduced sodium" still have ridiculously high amounts of sodium in them. they also have a ton of mysterious ingredients in them too. we love making tacos at home, but we really are not fans of the pre-made packets of taco seasoning from the grocery store. we like to know exactly what we are putting into our bodies. sure, it's quick and easy to pick up a few packets of taco seasoning when you are at the store to have them on hand for when taco cravings strike, but did you know that it is just as quick and as easy to make your own taco seasoning at home? you can make as little or as much as you like, and taco seasoning can be made from just a few simple ingredients that you most likely already have in your kitchen cabinets. the best part is that you can control the salt level and the spice level. feel free to leave out whichever spices you don't like, or to adjust the amount of a certain spice depending on your taste or the dish that you are making. 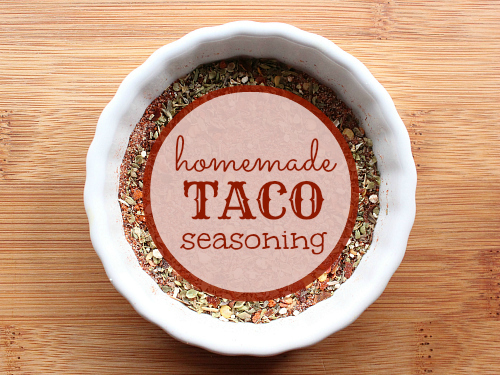 it's great to have taco seasoning on hand for tacos, enchiladas, nachos, and dips. so go ahead and make yourself a batch of taco seasoning. you'll be glad you did the next time you have an impromptu taco night! mix all of the ingredients together, and store in an air-tight container. Excellent idea and so easy to do. I can't do all that salt, so I will have to try it. Thanks for breaking the ingredients apart and making it salt free. Looks good. I'll have to make that for myself. 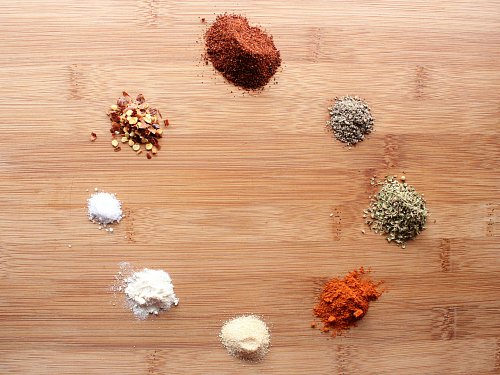 Mixing your own seasonings is such an easy way to save money, not to mention ingredients such as "natural flavors." Ick! Thanks for sharing at Family Fun Friday! I'm featuring you at this week's Family Fun Friday link party - thanks again for joining in! Thanks for sharing via Family Fun Friday. 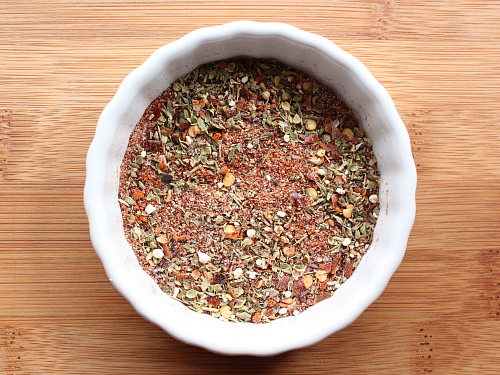 Making our own taco seasoning is on my to do list for this year. It'll taste better and save us a lot of money!